My conversation with singer songwriter Marissa Nadler occurred by telephone on April 8, 2016. We had a lovely discussion about many different things that went on nearly 40 minutes. I included the most interesting bits below. Her new record Strangers is very beautiful and you will probably like it. Michael Nirenberg: I just discovered your work a few weeks ago. It was through your new record that I started digging back. I loved it immediately. It cut through the clutter. It seemed so emotionally direct. Marissa Nadler: Thanks so much. That's nice of you to say. Sometimes you do interviews and the entire time you don't know if someone likes your music. You're getting me away from video editing. Thank god. It's really tedious. You can't really leave the house or have any social interaction. You got to put the time in. MN: Exactly. You made a lot of records. Is it seven? Marissa Nadler: I started out real young. MN: The new record. Do you think it's a good introduction to your work? Marissa Nadler: I definitely think it's a good introduction to my work. It has all the elements that I'm interested in on one record. So I think it's as good a place as any for an entry point. MN: Your work seems very sad and lonely. Why do you think we tend to like music that makes us sad? I know I do. I sense that you do too. 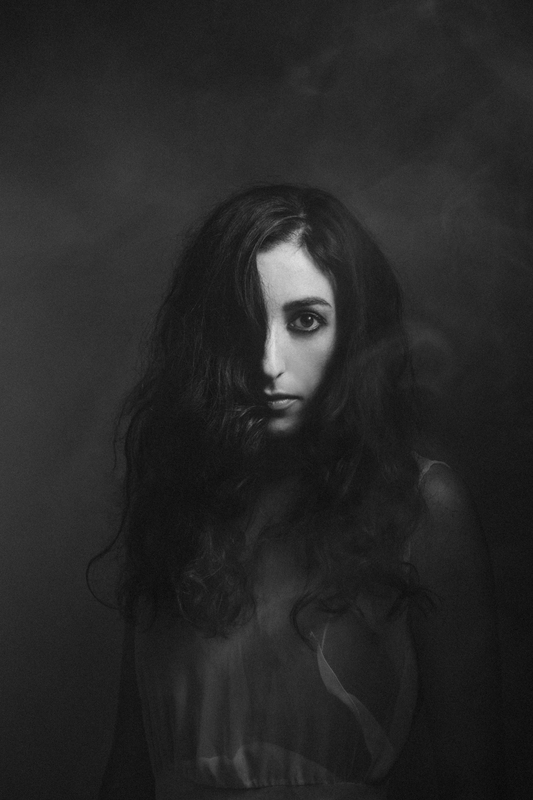 Marissa Nadler: I definitely gravitate towards sad music. Back when I was in high school I would buy a CD and find the saddest song on the record and listen to that (laughs). If you can listen to a song and feel that someone has put into words what you're feeling and thinking, that can be a comforting connection. MN: Like horror movies for example. I think people like to imagine the worst thing possible. So then when it doesn't't happen, it makes life more bearable. I think sad music operates on a very similar level. Where did you grow up? Where are you from? Marissa Nadler: I grew up in a small town outside of Boston. I lived in a bunch of different places but the past few years I have been back in Massachusetts. I find the landscape inspiring here. I don't live in a city, so there are a lot of trees. I pretty much stay away from crowds of people. I'm pretty hermetic to be honest. You have to be if you're really working on something. MN: I understand. I think I hear nature in your work. Not in a literal sense. I guess maybe it's the acoustic guitar. I haven't heard the work you did with Xasthur yet. I have one of his records called A Gate Through Bloodstained Mirrors. I think black metal has a similar trajectory of loneliness, solitude and hermeticism. I don't think it's a far jump from what you do, but it's incredibly different. Marissa Nadler: There are a lot of similarities in the core of my music and certain droney black metal, on the more ambient side of black metal I think. The producer I worked with on this record is trying to not to be known solely as a black metal producer. When people think of Randall Dunn they think of the work he's done with Sun 0))) and Earth. Both of those bands, especially Earth, I identify with a lot because they are very melodic and have a lot of alt-country influence. MN: I know you really like Joni Mitchell. I recently read a book about Laurel Canyon and it made me reconsider Joni Mitchell. I don't think I was mature enough to really understand her work. I see a similarity between Joni Mitchell and Earth. What are you listening to now? I know it's a dumb question because I could never answer it myself. Marissa Nadler: I haven't been listening to a ton of new music, I tend to find something I like then play it to death. I really got into Grouper last year. It's very ambient and I like to listen to music without lyrics if I'm trying to do something. I tend to listen to a lot of instrumental like the Paris, Texas soundtrack obsessively by Ry Cooder. Stuff that sets the mood. MN: Let's talk about the new record: Strangers. Marissa Nadler: It comes out May 20th. I'm excited about the new record. I put a lot of time and thought into it. It's funny how quickly everything moves these days. Especially since I have been doing this for so long, I see how it's changed. You have a 24-hour life of a song almost (laughs). It's strange to be making such slow music in such a fast world. MN: Where did you record the new record? Marissa Nadler: I recorded it in Seattle. Seattle feels very much like Boston so it feels like home. The reason we recorded there is because the producer Randall lives there and he has a studio he really likes. I recorded the last record in the same place with him. I kind of liked having a change of scenery when I was recording. Plus he has some fantastic musicians that I'm friends with out there who play on the record. MN: How long did it take you to write all this stuff? What's your cycle for writing and releasing and all that? Marissa Nadler: A long time. The songs individually don't take that long to write, except to get to a place where I'm writing keepers takes awhile. I wrote like 30 songs that I threw away until I wrote one that I felt was something new and special. Once you have this many records you can't keep treading the same territory or you will die. Your career will be in stasis, artistically. MN: It just gets too boring for the composer and the audience. I like to use Roy Lichtenstein as an example. The first few were dope and then they got really played out. Marissa Nadler: Exactly. Some people may be new to my work and not know that I have that many records. The thing is I know that I do. If I find I'm repeating something it doesn't't feel all that exciting to me. I wanted to ad a rhythm section. That was kind of a goal of mine at least to have some songs that have a beat (laughs). It's kind of a new thing for me just to make that challenge, to broaden the sonic palette. MN: I noticed that too and was gonna ask you about it. Some records are a little more spare. Some are a bit more ambitious in terms of composition or arrangements rather. On a different note, I know what I wanted to ask you about the special needs children. Do you still teach? I did that too in my early 20's. When I read that about you I thought it was really cool. It changed what I was doing. Marissa Nadler: It sure does change you! I was teaching at a school right before my last record came out. It was a therapeutic high school so there were all different types of students with different types of needs. I stopped working there when the school year ended so I could tour the last record. I'm not really teaching anymore because I'm in the middle of a record cycle and all this. It's really nice to get out of the music world and work with people and help them directly. It makes you feel good. MN: Absolutely. It was a nice thing to read about that. I thought to myself, this is also a person who feels things. The work is so emotionally direct that I imagine you need to reconnect with the world at large and re-engage, rather than make these records from some remote place. I did similar work in my early 20's and realized it wasn't for me. It's funny you get these jobs and people read all this stuff into it. Marissa Nadler: I feel very similarly in that although I love working with people, I don't necessarily fit into the 9-5 or actually 7-3 world. The timing of a job like that is so different than the nightlife of music. Every time I try that straight life, it doesn't seem to fit for me. I'd rather be a full time artist. You can help people through your art too. MN: How did you end up at Sacred Bones? I think it's a good fit for you. They seem to be all over the place in the right way. How did you find each other? Marissa Nadler: Yeah, Caleb who co-runs the label reached out to me many years ago. At the time I was between labels. I actually kind of don't remember but it came about because they were listening to my work a long time ago. I happen to love Sacred Bones. I think they are super nice people and I couldn't't be happier. Just to be on the label with these super talented people is very inspiring. Bella Union is my label in Europe and they are also awesome. After several years of not having a good team it makes you more grateful. The thing with Sacred Bones is that there is darkness and an intensity that unifies their artists. Even if it's different genres. MN: Absolutely. They are kind of one of my favorite labels lately. I discovered them when I came across Cult of Youth. Then one by one I started picking off the label. I'm starting to think this is an important thing now. There is so much stuff out there. It's nice to have these people on the front lines. They remind me of Blue Note in a way. I have a friend who seems to put out records on several different smaller labels. I notice you do the same thing. I started to make a connection. Do you think that's the new business paradigm? Marissa Nadler: It's a little different for me, my whole switching from label to label early on in my career wasn't necessarily by choice. I'm hoping to stick with my current situation for awhile so I won't have to think about that, so I can focus on the art.